Tubeless forged wheel, for superior strength. 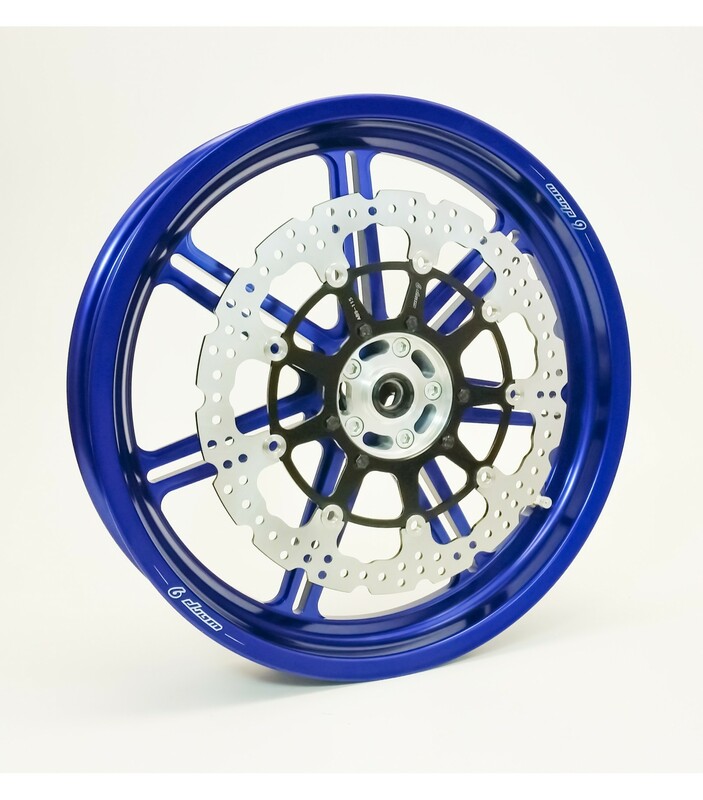 17x3.5" rim is anodized in multiple colors. Hub carriers anodized in multiple colors. 90 degree valve stems, color-matched to the hubs. Warp 9 Apex floating 320mm front brake rotor, dissipates heat much faster than traditional one-piece rotors. Brake rotor pattern is specific to your bike. 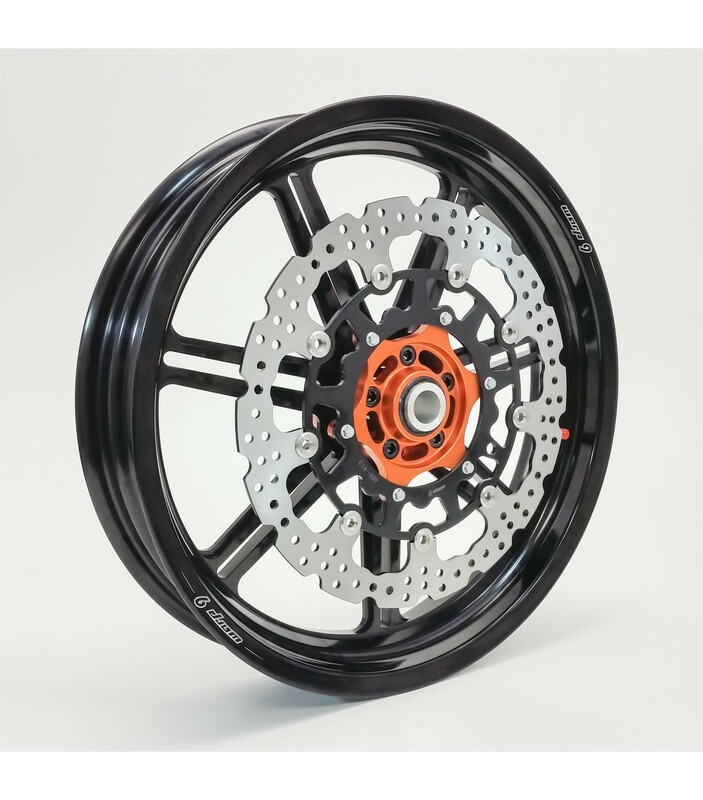 Hub carriers are modular, so you can change them out for different bike fitments and move your Forged wheels from one bike to the next! Some wheel orders may take extra time to complete. Wheel spacers are included when necessary, some models will use your stock spacers.